Yardley has a new colour collection out called Metallic Fusion, inspired by this season’s metallic fashion trend, and sent me the prettiest press drop to show it off. 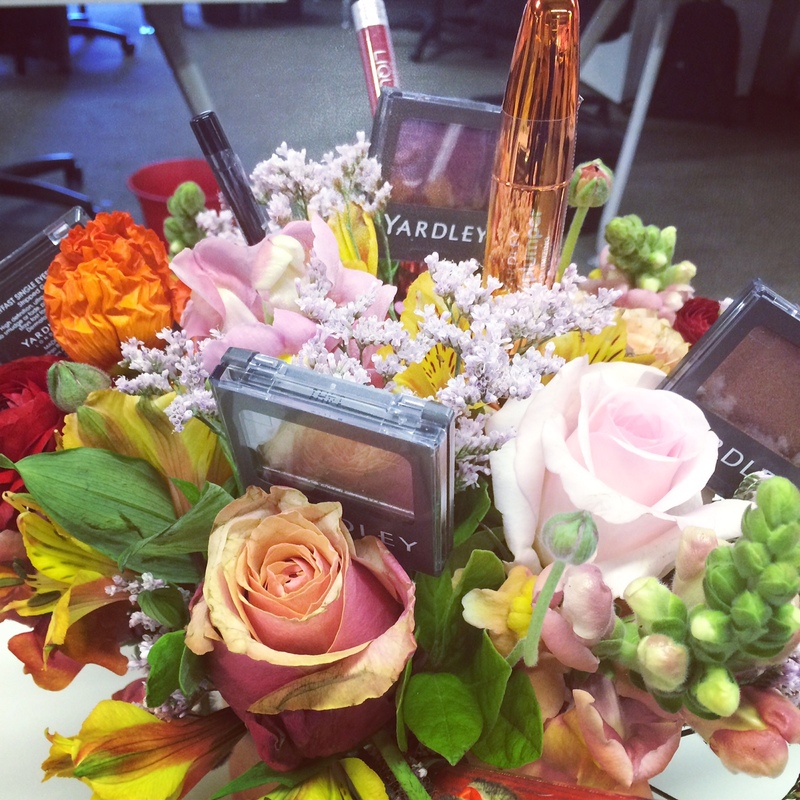 A bouquet full of Yardley mooiness! Going clockwise you’ve got Cast Iron Coral, swatches of Pink Alloy on the left and CIC on the right, the Liquid Matte lippies and then swatches of Electric Tangerine and Engine Red. No prizes for guesses which is which. 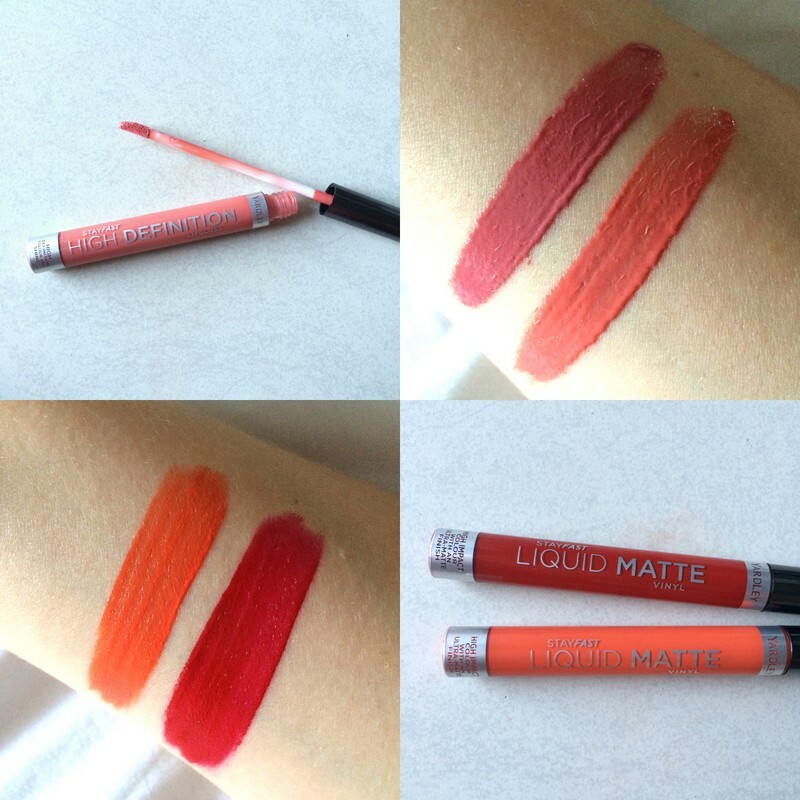 As for the Liquid Matte Vinyl colours, these are definitely in the liquid lippie zone. Initially, they go on with a bit of a shine which will give matte-cravers an initial burst of disappointment, but if you blot this off with your finger you’re left with a long-lasting matte colour that doesn’t feel like it’s going to dry out your lips and it’s back to happiness. I don’t wear orange or yellow-based corals – it’s blue-based all the way in a bid for even whiter-looking teeth – so Electric Tangerine isn’t for me. Engine Red, however, is a winner. Amazingly pigmented, ultra lightweight and almost a little bit stainalicious. 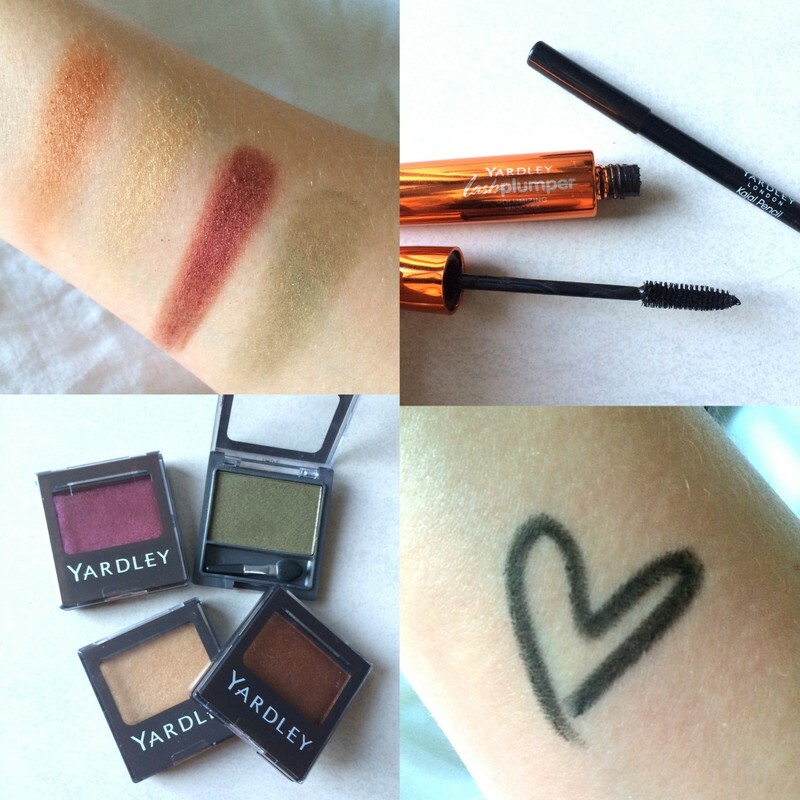 Eyes-wise, I didn’t fall in love with Yardley’s Lash Plumper Mascara (R99,95) – it adds colour, like ink, but doesn’t build to create volume- but the Kajal Pencil (R89,95) is great – a soft black, it glides on beautifully and can be blended to create a little smoke before it sets. As for the Stayfast Single Shadows (R69,95), I found Mineral Mauve to be the winner in regards to quality. It’s fabulously pigmented and stokes on a lot easier than the other two. The shadow swatches going left to right are Copper Ore, Stripped Gold, Mineral Mauve and Gunmetal Green. If you check the collection out yourself, let me know your thoughts. Yardley has definitely upped their game the last few years! I love that dark purple eyeshadow, it’s so beautiful! Engine Red is absolutely mesmerising. I love the opaque result. It is so vibrant and very…debonair. One will need a dose of confidence to pull this one off OR if one lacks the aforementioned, Engine Red will instantly boost it. It can be either one of the two. So getting it!